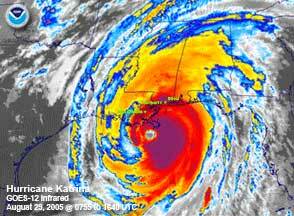 Hurricane Katrina struck the south central Gulf coast on August 28, 2005. EPA emergency response personnel worked with FEMA and state and local agencies to respond to the hurricanes in 2005. In emergency situations, EPA serves as the lead Agency for the cleanup of hazardous materials. We no longer update this Web site; we provide the information for reference purposes only.